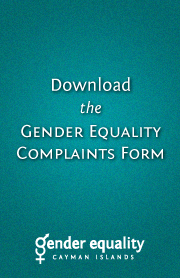 Before convening a hearing, the Gender Equality Tribunal may receive written representations from all parties regarding the allegations in the complaint. These submissions may include supporting evidence and each party will have a right to respond to any facts and issues that have been raised by the other party. 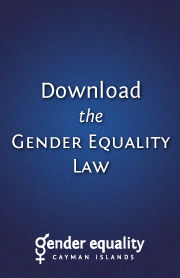 The Tribunal may also exercise its power under the Gender Equality Law, 2011 to compel the production of evidence from any person the Tribunal has reasonable grounds to believe is committing gender discrimination or breaching any other provision of the Law. Once all submissions and evidence have been received by the Tribunal and exchanged between the parties, the Tribunal will schedule a hearing to consider the complaint. All parties and their designated representatives, if any, will receive written notice of the date, time and place of the hearing and information on their rights under the Law and the procedures that will be followed respecting the hearing. The Tribunal may also issue summonses to compel the attendance of any witnesses at the hearing. After filing a complaint and before a hearing begins, the complainant and respondent may make an agreement that would withdraw the complaint. However, if this happens, both parties must notify the Tribunal in writing of the terms of the agreement. Following the pre-hearing process, the Gender Equality Tribunal may convene a hearing to hear and determine the discrimination complaint. A party to a matter before the Tribunal is entitled to appear at the hearing in person and also to have his or her legal representative present. During a hearing, both parties will have the right to present evidence, give testimony, call witnesses and to cross examine witnesses. The Tribunal may also examine witnesses or parties and all oral testimony or evidence will be given under oath or affirmation. The Tribunal will make a decision on the complaint within twenty-eight days of the conclusion of the hearing and will communicate the decision and the reasons for that decision in writing to both parties. 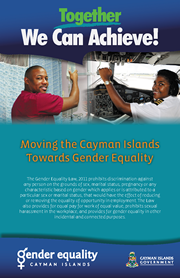 The Gender Equality Tribunal's Policies and Procedures contain more information about how complaints will be handled and what to expect at a hearing.